When rain storms cause flooding or nuisance water because of drainage problems, a French drain may be the solution. 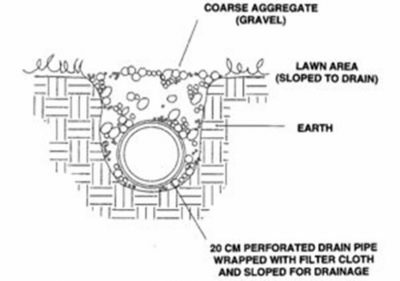 A French drain consists of a porous area where water normally collects and a drainage pipe to move the storm water to an area where it can naturally seep into the ground or safely drain away. A French drain for storm water management.